Last weekend afforded us an opportunity to travel to the Big Apple for some family time with children and grand ones. Part of that adventure included a trip to Mood–the Project Runway Mecca of fabric stores! I did my research so that the trip would be fruitful and not too time consuming. This strategy turned out to be a very good plan. My son and I strolled up to Mood from the Financial district, traveling along the shore parkway (name is escaping me right now) and along the Highline, over the river and through the woods until we finally landed at Mood. This was quite the walk–and I love a good hike! In reality, however, the distance was quite a long jaunt. The grace of this: time with my adult son! In addition to the fabrics I sought out [sorry–they are for Christmas gifts so I cannot reveal them here], I laid hands on some lovely lambskin pieces. 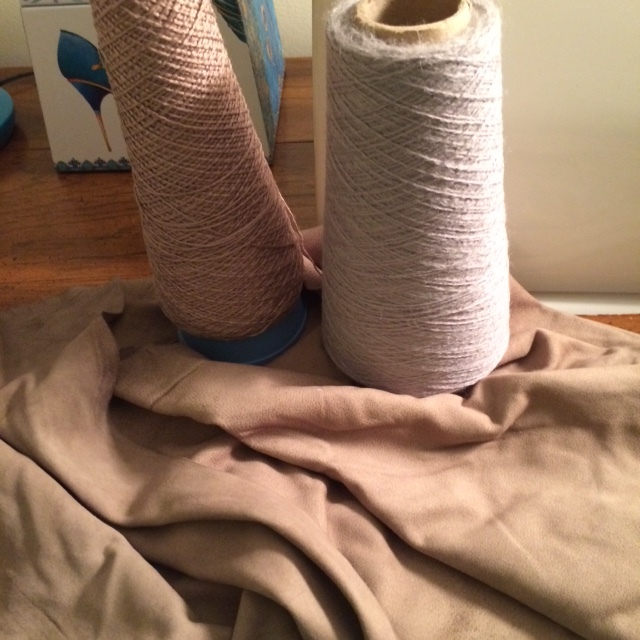 I am hoping to edge my ruana in the taupe. My daughter, a costume designer, has mentioned Mood on numerous occasions. It’s quite the place! Thanks.